The warning came amid unconfirmed reports that Israel and Hamas were close to reaching a long-term truce agreement. He said such a deal would be considered a “free gift to Israel and another coup against the Palestinian people and their homeland.” He was referring to Hamas’s violent takeover of the Gaza Strip in 2007. Qawasmeh said the No. 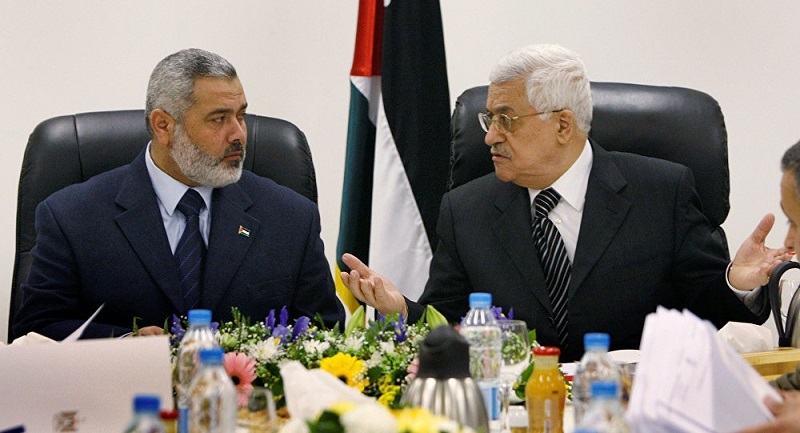 1 priority should be achieving Palestinian unity on the basis of previous agreements signed between Hamas and Fatah, and not a truce with Israel in return for humanitarian aid. In Jerusalem, the security cabinet is scheduled to meet on Sunday to discuss the mediation efforts. Commenting on the reports about a possible truce between Hamas and Israel, senior PLO official Ahmed Majdalani said the purported deal was “incompatible with the size of the sacrifices” made by the Palestinians in Gaza. Majdalani told the Palestinian Authority’s Voice of Palestine radio station that it could have been possible to lift the blockade on Gaza and achieve a ceasefire with Israel “without all these losses by achieving national unity” and ending the dispute between Hamas and Fatah. The PLO official expressed fear that any deal between Hamas and Israel would come as a substitute for ending the Hamas-Fatah rivalry. According to a report in the Hezbollah- affiliated Al-Akhbar newspaper, Hamas leaders Saleh Arouri, Musa Abu Marzouk and Ezzat al-Risheq, who entered the Gaza Strip last Thursday through the Rafah border crossing, were discussing the possibility of a five-year truce with Israel. The paper said the proposed truce would be implemented in phases. In the first stage, which it said would begin in a week, Palestinians would end “provocations” along the border between Gaza and Israel, including the launching of arson kites and incendiary balloons toward Israel, as well as halting Palestinian infiltrations into the country. In return, the report said, the Kerem Shalom border crossing with Israel and the Rafah border crossing with Egypt would be reopened permanently. The next phase of the proposed truce agreement envisages improving the living conditions of Palestinians, lifting the blockade on Gaza and allowing all goods into the coastal enclave, as well as increasing the power supply, the report claimed. The third phase would see the UN carry out various humanitarian projects in the Strip, it added. The newspaper claimed that Hamas has agreed in principle to the idea of a truce, but has also asked for additional time for consultations among its top brass. In a related development, PA Prime Minister Rami Hamdallah on Saturday renewed his call to Hamas to allow the PA government to assume its responsibilities in Gaza. Hamdallah’s appeal came amid increased pressure from Egypt on Hamas and Fatah to end their differences and agree to the formation of a Palestinian unity government. Hamdallah denied that his government was imposing economic sanctions on Gaza. “The Palestinian government spent $96 million in the Gaza Strip last month,” he disclosed. He was referring to the PA government’s decision to halt salaries to thousands of civil servants in the Gaza Strip and force thousands others into early retirement. The PA prime minister called on all Palestinians to rally behind the Palestinian leadership headed by Mahmoud Abbas, “to face the challenges threatening our cause and national project, especially the so-called deal of the century” – a reference to Trump’s unseen peace plan.